What´s Up Wednesday? And a Ready. Set. Write. thank you! 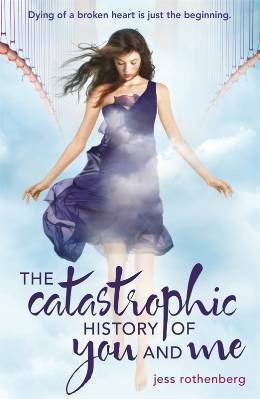 I just finished reading THE CATASTROPHIC HISTORY OF YOU AND ME. I promised myself that I would start tackling this growing TBR on mine and I wasn´t disappointed. The voice was amazing and the story surprised me. Full review to come soon. It´s the last week of Ready Set Write. Can you believe it? You guys have been awesome and so supportive. Thank YOU so much! RSW Giveaway: We (Alison, Katy, Erin, Jaime and I) would like to thank you for participating and we want to celebrate your success by offering fresh pairs of eyes on your work. While we all agree that we’re no experts (i.e. agent, editor, freelance editor…), we know how helpful beta readers can be. So each one of us is offering feedback on the first ten pages of your story. Yes–that’s FIVE critique giveaways! The same rules apply as our last giveaway: Open internationally to RSW participants only. It runs until Tuesday, September 3rd and the winners will be announced during What’s Up Wednesday the following day. Click below to enter. Weekly update: I revised a bit less than one chapter. But…I´m so so happy with the way this chapter worked out. Plus, I made the stakes a bit higher and I have one BIG chapter to revise next. it´s going to be a tough one but I think one that will make the reader even more connected to the story. My hubby got me a new Kindle. Yes, my husband is awesome! My husband training for his first 10k. His dedication is very inspiring. Ooooh those cakes look amazing! And yay for new Kindles! I love mine too ^_^ So glad your first chapter is so good too 😀 Good luck with the rest of the edit. And congrats on revising the chapter into glorious-ness. I love it when things click like that. That treat DOES look yummy! And congrats on all the revision progress you’ve made this summer! I know I keep saying this, but I seriously can’t wait to read your story! Have a great week, Elodie! And thank you so much for cohosting RSW!!! Yay hubby! And awesome about working out again – I’d fallen out of practice for awhile, but picked up again last spring and so glad I did. Kindles are such a convenient thing to have. I was able to get a lot of reading done at camp with my Kindle, while my nursery kids were taking their daily hour-long nap. Good luck with your continued revising! That pastry looks amazing! And the kindle will get a lot of use, I’m sure. 🙂 Thanks for organizing RSW this summer! 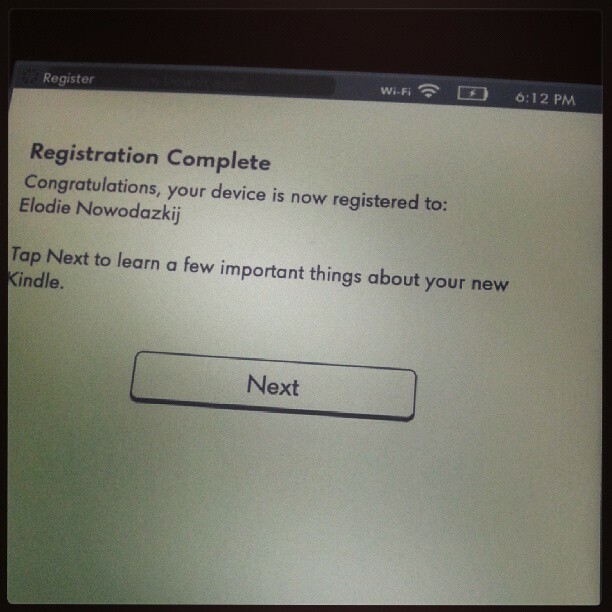 I loved my Kindle, but it broke in our move and I haven’t replaced it. It has created an interesting shift in my book buying method to say the least. But yay for Kindles and husbands who buy them for you! I am working out again, too. I seem to go in three week increments with it. Work out/take three weeks off/feel crummy/work out/repeat. Ohh France, how lovely. We usual go to France in the summer, much as I love Ireland, I am missing the food, especially the bread! I’m glad all is going well with your WIP. It’s great when that happens. Good luck for next week! I’m so jealous of your France trip. Sounds lovely! I love it when a chapter turns out just the way you hoped it would! That’s such a satisfying feeling! I hope revising this next big chapter is just as rewarding! BTW, I just got your postcard from Italy! That was so sweet of you! I’m going to keep it with my writing stuff for inspiration! Please tell your hubby good luck with training for his 10k! Revisions can be tough, but it sounds like you’re making great progress! 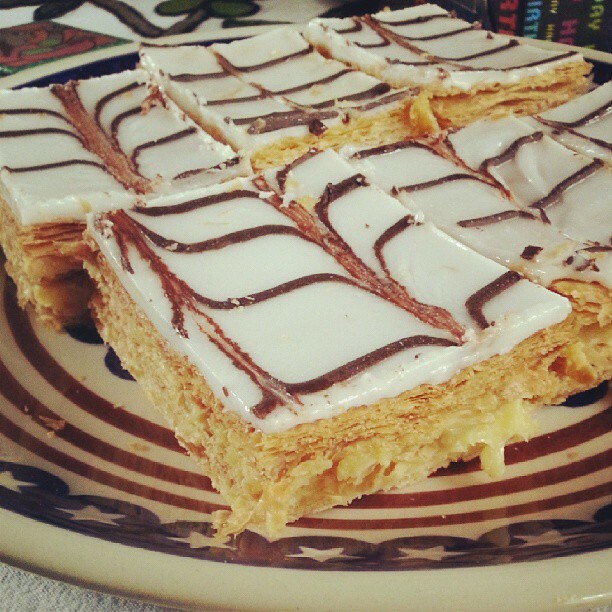 France is a lovely country -and the cakes are awesome! I’m curious to hear your thoughts about THE CATASTROPHIC HISTORY OF YOU AND ME. It’s been on my TBR list for a while, but I keep bypassing it, thinking it might be sad. I have to be in the right mood for a sad book. You’re going to love that Kindle, but beware that it will make you buy so many books. I have a Nook and it’s so easy to just buy an e-book when there’s one I specifically feel like, not having to wait to hit the store. YAY for new Kindles! Also, I loved CHoYaM! The voice is soooo good! OK, so here’s my question for you Elodie: When you go back to France, to people there detect an accent, since you don’t live there anymore? I can’t imagine what French with a German accent would sound like, but I suppose native French-speakers might hear such a thing? That dessert looks yummy. Good luck with your writing progress. Have a great weekend! Also, thank you and the other ladies for hosting Ready.Set.Write! It’s been so fun and helpful!